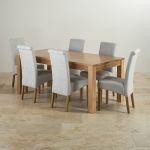 If you are looking to give your dining room a makeover then the Oakdale Natural Solid Oak 6ft Dining Set with six scroll back plain fabric chairs would be the perfect addition. 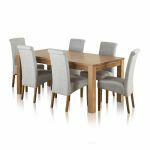 Made from only 100% solid oak, the Oakdale dining table provides that extra durability and peace of mind for use with both everyday wear and tear as well as the more lively dinner parties. 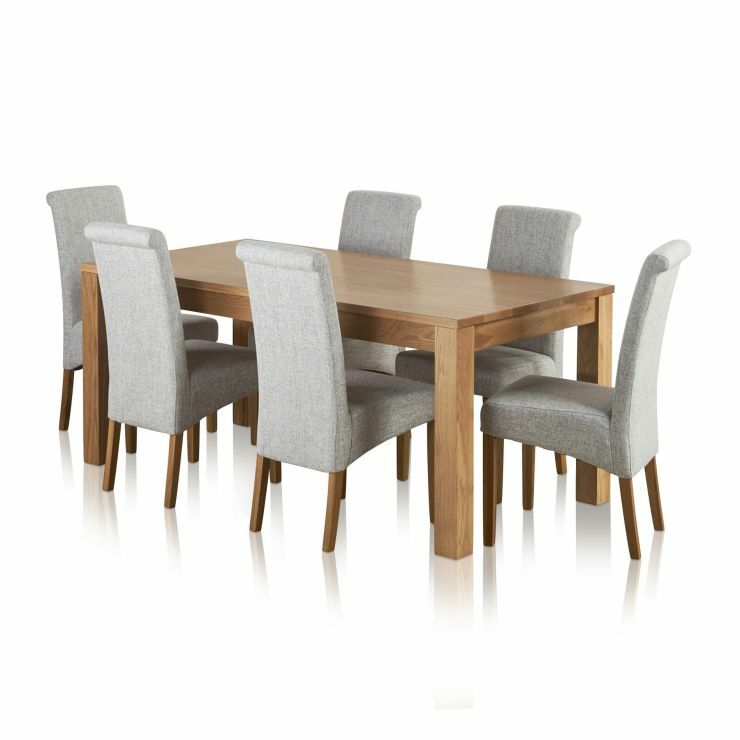 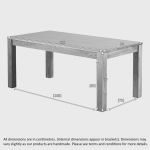 Utilising the Oakdale clean-cut frame and a chunky design the table will comfortably seat 6 but can be stretched for a couple of extra places when required. 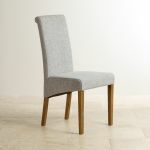 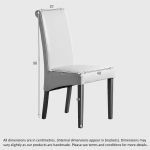 Available either individually or as a dining set with any style of chair that takes your fancy. 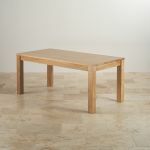 Take a look at the rest of the Oakdale range for more items of quality oak furniture.